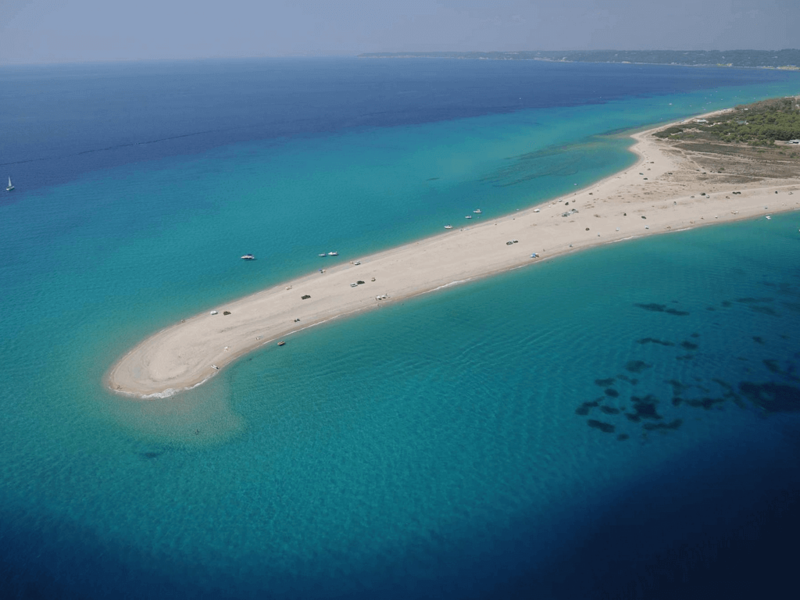 Greece’s northern territory – Macedonia – is blessed with the peninsula of Halkidiki and its three ‘fingers’ (or legs as we say in Greek) which stretch deep into the Mediterranean. 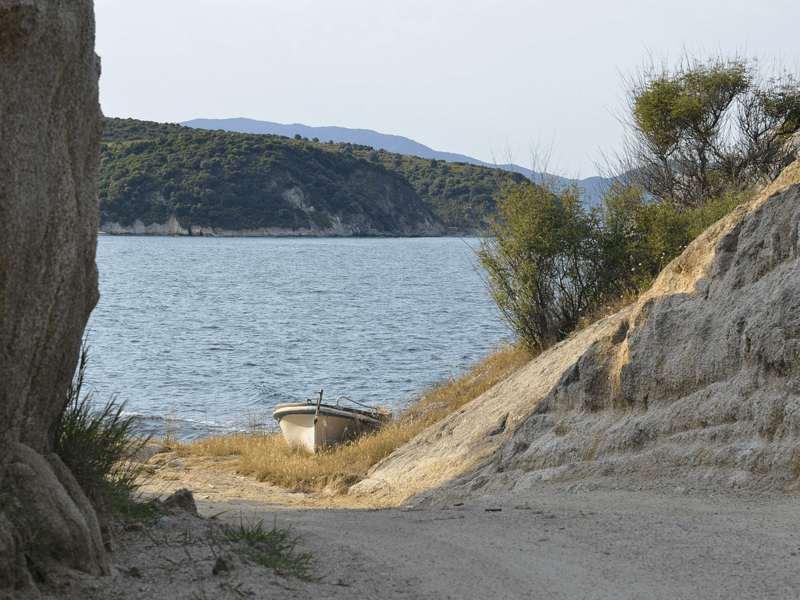 Kassandra, Sithonia and Athos – along with the island of Ammouliani – hide many fabulous secrets that will delight visitors, so will the inner mountainous part of Halkidiki with its picturesque villages, wineries and culinary surprises. Halkidiki, a treasury of ancient Greek archeological sites and the birthplace of Aristotle, is truly one of the most geographically unique areas of Greece (head to Aristotle’s theme park in Stagira to learn more, as well as Ancient Stagira for archeological findings and exhibition centre). The three-legged peninsula is quite popular with tourists from the nearby Slavic countries and from Russia also because of the strong orthodox traditions, yet open to all who want to experience its Balkan-meets-Mediterranean flavor in a heavenly environment between the greenest mountains and bluest seas. Many visitors get permits from Thessaloniki to visit the closed Mount Athos, designated a Unesco World Heritage site and a leading centre of pilgrimage and worship for the Orthodox religion. 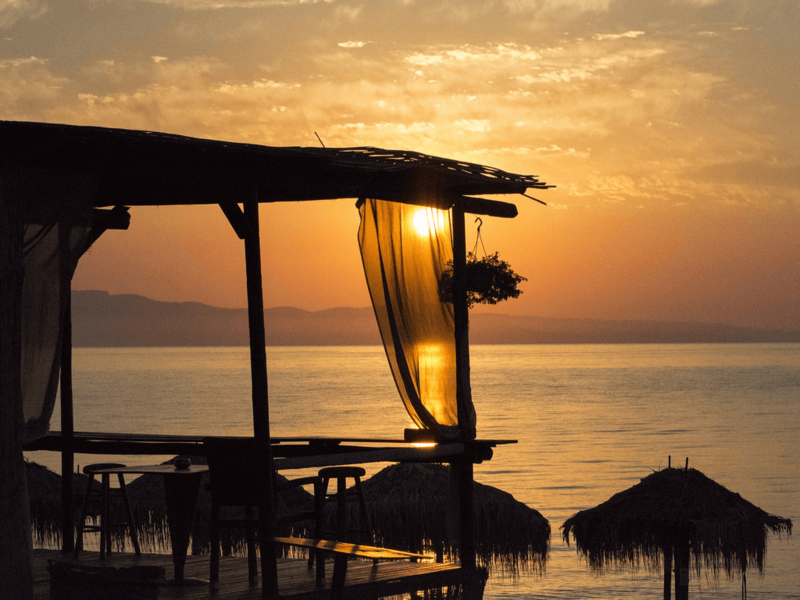 In the rest of Halkidiki, recent years have revealed a more environmentally friendly kind of tourism, as the large hotels and hotel have begun implementing green programs and strategies. Many gorgeous boutique hotels and charming stone-built family have sprung up as well, opening Macedonian hospitality to individual tourists and wanderers like never before. Get ready to visit traditional villages, dip in some of the world’s cleanest beaches, hike the dedicated mountain routes, sail around hidden coasts and experience Halkidiki’s spiritual power. Its museums, historic Byzantine churches, culinary delights, women’s cooperatives (for local products) and agro-farms will also keep you exploring and discovering. Some of the must-see traditional villages include Parthenonas, Athytos and Arnea. Gorgeous Parthenonas built on the foothills of Mount Itamos affords a stunning sea view, stone-paved streets, a couple of good guest houses and a delicious restaurant. Athytos (historically named Afetos) with its old town will also delight visitors with its cobblestone streets, traditional houses, restaurants, and little boutiques. A walk up to the panoramic rock reveals some magnificent views of the sea below. In the upper mainland of Halkidiki, the village of Arnea, once burned down by Ottoman occupiers, was lovingly rebuilt in 1912, retaining its traditional architecture. Today it offers a handful of restaurants and a mouthwatering patisserie in the square, along with several fine guesthouses. Nature lovers will rejoice in Halkidiki: there are 20 walking routes to discover the rich natural flora and fauna of the peninsula. 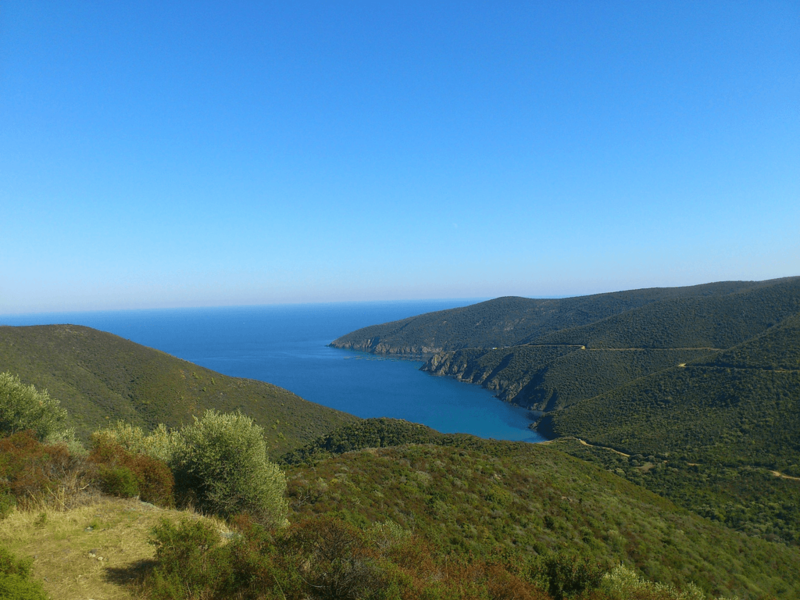 Trekking through Mount Itamos is highly recommended to marvel at its pine trees and at the view of Sithonia, Kassandra and Mount Athos. For rock climbing, abseiling and great bouldering right above the shore, head to Loutra on a climbing journey that will take you as high as 100 meters. 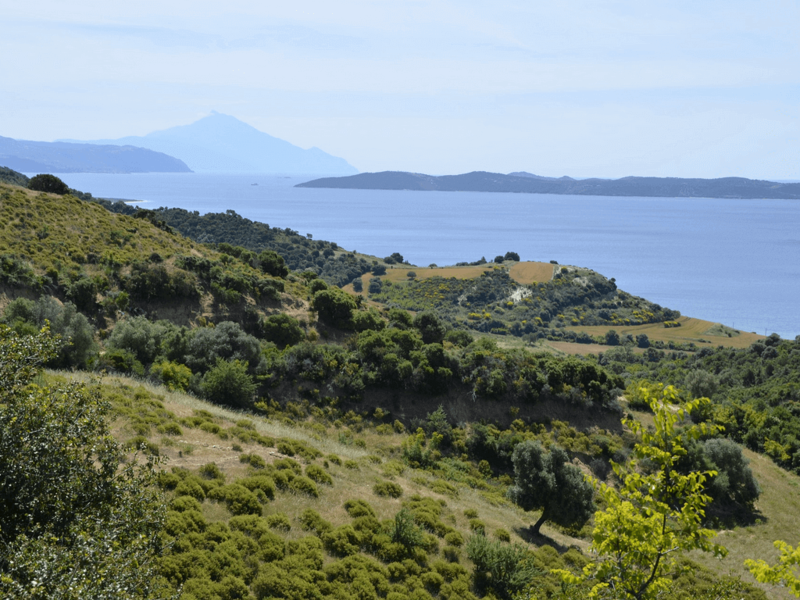 To really feel the land head to some of the farms that produce fresh products and get close to the animals, from making tsipouro liqueur and picking fruits to learning about olive oil. If you’re a beach lover, Halkidiki is heaven with the longest shoreline in Greece. It has more beaches than anyone can count, and many of these are designated with the Blue Flag, i.e. are among the cleanest in the world. Diving in Halkidiki reveals sponges, octopuses, corals and much more, with many diving schools and clubs dotting the region. You might also come across the shipwreck of Mytilini from 1961, the underworld of Porto Valitsa, and the underwater cave of Erika among other surprises. Sailing is another great activity thanks to its numerous gulfs. On the Kassandra leg, the village of Loutra, which actually beans baths, is known for its healing waters and its power to ease pain. It is set in an idyllic environment surrounded by pine trees, golden sand and crystal waters. Not far off is the village of Agia Paraskevi (Saint Friday) which boasts a modern spa with hydromassage, steam baths, saunas, pools, amazing treatments and much more. There are also important spa centres in many of Halkidiki’s resorts, one of which actually is Porto Carras which boasts the biggest spa in Southeast Europe, has one multiple awards and espouses an eco-friendly philosophy. Thalassotherapy, aromatherapy, hydrotherapy, massages and facials await those who seek a more holistic break in many of the region’s resorts. Lastly, medical tourism is also catching on in Halkidiki, thanks to Evexia, considered among the country’s best rehabilitation clinics with advanced facilities. The closest to the city of Thessaloniki and the most popular leg of all is Kassandra, with its gorgeous beaches on both sides. As you head out from Thessaloniki and before you reach Kassandra, drop by Agios Pavlos to sample the wines of Evangelos Tsantalis, one of the best known wineries in Northern Greece. A little further on your way to Kassandra you can stop at Petralona to visit its well-known cave, and then stop at Nea Moudania to discover the enchanting Museum of Fishing Vessels and Equipment. Not far off is the entry to the Kasandra leg, where you’ll come across Nea Fokea and its Byzantine tower of Agios Pavlos on the hill. After a break here, head to Athytos or Afytos to revel in this authentic village and its views. Beyond Athytos, once you reach Kallithea head to the sanctuary of Zeus Ammon, which was historically tied to ancient Afytos. Your next stop on the tour should be Lake Mavrobara near Polychrono, a great ecological spot to admire nature’s fauna and flora. You might not know it, but many of the new villages around the area today were once ancient cities such as Pefkohori where ancient Neapolis was, Paliouri where ancient Theramvos was, and Mola Kalyva where ancient Mendi was. 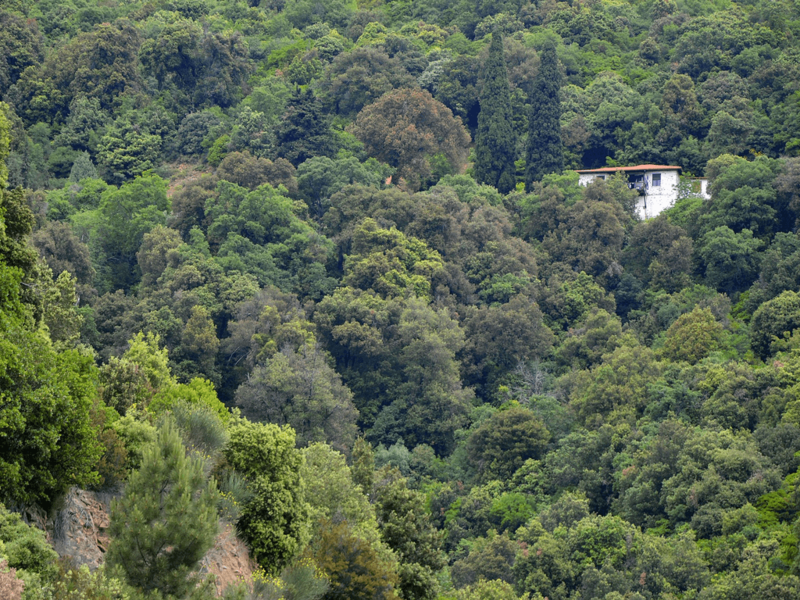 Noteworthy in the region are the healing thermal waters of Agia Paraskevi as well as the Church of Panagia Faneromeni with its magical icon of the Virgin Mary. Needless to say the peninsula hides many large tourism resorts on the way where you can bathe or stay, but be sure to choose a place that’s eco-friendly (see our accommodation section). This is the second leg coming from Thessaloniki and already less touristic than the first, which is great for eco-friendly visitors. 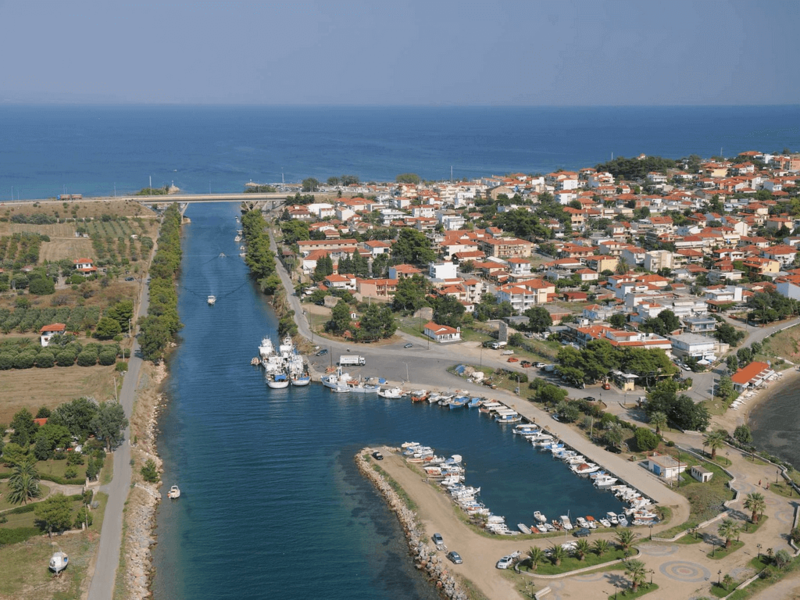 As you head out from Thessaloniki to Sithonia, your first stop should be the prehistoric settlement of Agios Mammas, as well as the site of the ancient city of Olynthos from the classical era. Once you reach the entrance to this middle peninsula (i.e. after passing Psakoudia, Ormylia and Metamorfosi), right after the town of Nikiti you can go to the east coast or west coast. The latter will take you through several beach resorts until you get to the famous Porto Carras resort, which despite its size is doing lots in terms of promoting green practices and alternative tourism (vineyards, gastronomy, activities). The star of the show in this area, however, should be the village of Parthenonas, a few minutes away from the beaches on the mountain with a spectacular view to the sea. This gorgeous stone-paved village has different guesthouses, a traditional restaurant and nature-filled hiking opportunities. On the east side Vourvourou offers nice little coasts and little “sea lakes” that are attractive to birds, an ideal spot for some amateur birdwatching. You can bypass the busy community of Sarti to drive through an attractive forest with unpaved side roads that will take you to great beaches. 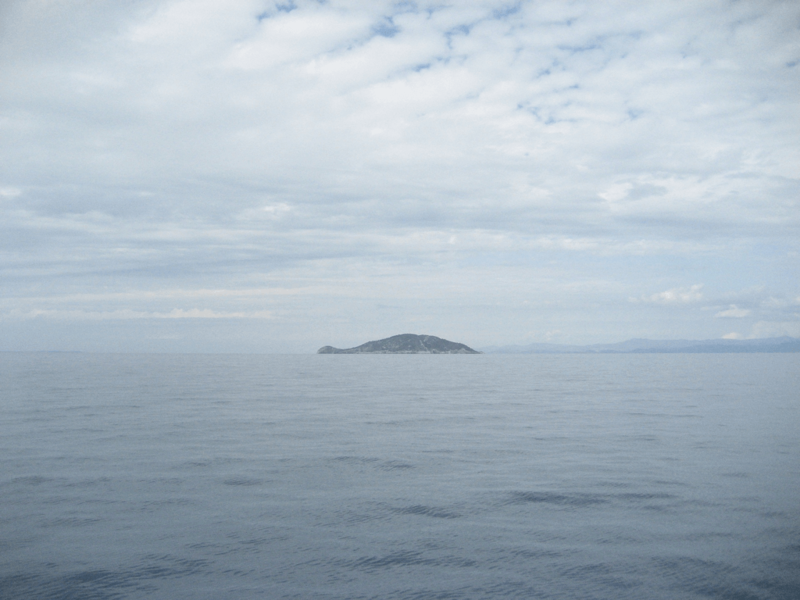 Your next stop should be Agios Nikolaos, which is well worth a visit. This traditional village that has origins in prehistoric times boasts a gorgeous main square with a water fountain and stone-paved streets, complete with amazing traditional houses from the 19th century. Note the impressive churches of Agios Georgios and Agia Paraskevi, as well as the abandoned Agia Triada. Visit the old fountain of Tsesma from 1626 and look for the ruins of the Saint Nicholas Monastery. There are some good tavernas to dine in around the square, as well as some strong tsipouro liqueur which is prepared in October and November using old production methods. Equally impressive and a couple of kilometers more inland is Sykia, one of the oldest and most historic villages on Sithonia’s east side. Gorgeous buildings with old architecture await curious eyes, including the impressive church of Agios Athanasios, the old school, Byzantine ruins in Episkopi, the old windmills from 1840 by the beach and the prehistoric castle on Ipsos hill. The area produces quality country milk and meat, as well as tsipouro liqueur, olive oil, wine and honey, so don’t leave without buying some of these. The little island of Ammouliani has fascinating clean and quiet beaches such as Alykes, Megali Ammos, Agios Georgios and Kalopigado. Enjoy an easy life in the island’s good restaurants, visit the main church on the hill in the center of town and drop by the folklore museum. There are some stunning views here and the weather is mild almost all year round, perfect for those who want to escape mass tourism and high-tech society. Once you cross back to the mainland (a 10-minute ferry ride), drive half an hour to Ouranopoulis at the gates of Mount Athos. The historic tower on the coast is now a great museum that you should visit. There are some local product shops catering mostly to Russian and Balkan visitors, but you might find some scented soaps, wines and other goodies that are actually made behind the barriers of Mount Athos – the secluded religious company open to guests only with a permit from the appropriate authorities in Thessaloniki. 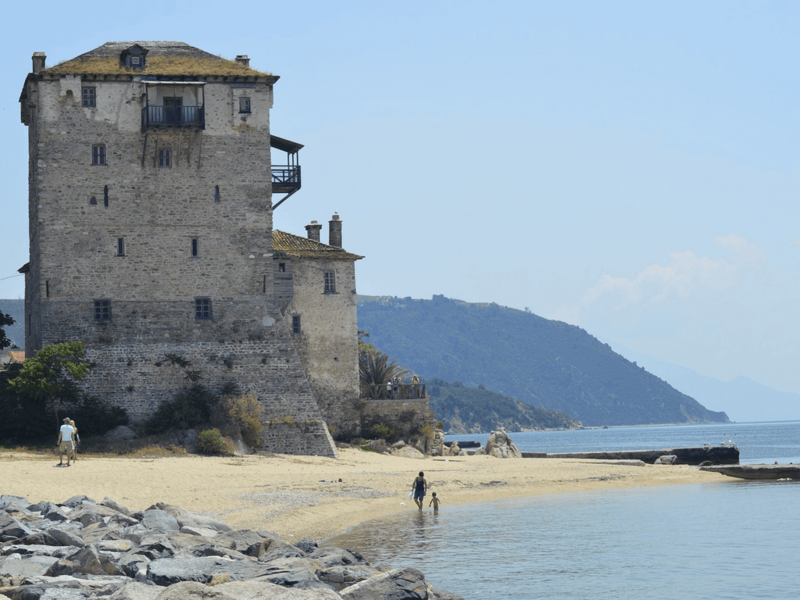 A few minutes after the town of Ouranoupolis on the coastal road you will come to the frontier with Athos and ruins of a historic monastery that is open to visitors early on weekdays. It is easy to see that wherever you go in Halkidiki, beyond the obvious tourism destinations, there are many hidden secrets and treasures. You just need to know where to find them, and ecotourism-greece.com will set you on the right path! You will eat and drink well in Halkidiki, which lies in the heart of a region known for its good food. Perhaps half of the inhabitants here have roots from Constantinople and Asia Minor, bringing with them strong culinary traditions developed over generations by historic Greek civilizations and communities, with some Ottoman influence thrown in for good measure. Add to this the rich produce, wine and herbs of this sunny region and you have yourself a winning combination. Amazing breads and savoury pies await visitors, but so do hearty meat specialties, plenty of fresh vegetarian dishes, homemade pasta and an assortment of appetizers and of course robust cheeses. In fact, delicious cheeses made with goats milk and with a high protein content come from Mount Holomontas, with excellent cheese varieties also hailing from all over Central and South Halkidiki. Also expect great olive oil and savory olives trees, most of which are cultivated in an eco-friendly or even organic way. If you're passing through Holomontas Iporia, Moudania, Mount Meliton, Olynhtos, Ormylia, Pallini, or Polygyros you might want to buy some local extra virgin olive oil. On the sweeter side Halkidiki is known for its quality honey, praised in ancient times by Aristotle for its benefits and considering it as a life extender. Arnea, Nikiti and Kassandra are particularly known for their good honey. You'll also find a lot of organic fruits growing here that end up freshly picked on your plate, or go to make the sweetest and most succulent of marmalades. Last but not least are the sweet pastries such as Baklava, as well as the cone-shaped custard puffs known as Honakia. In a handful of villages across Halkidiki, particularly those tucked in the mountains, there are women's cooperatives or associations that produce homemade products such as fruit preserves, pasta, pastries, biscuits, fruit liqueurs and much more. Our favorites include the 'Ef Gevesthe' in the village of Taxiarchis, 'Ta Gennimata' in Vrastama, 'Dryades' in Varvara, and 'Theofylaktos Klironomia'in Paleochori. Ancient Halkidiki was famous for its wines since the 5th century BC, with Aristotle himself having planted a vineyard in Stagira, is hometown. Today, modern Halkidiki is just as famous for its quality wines, thanks to great climatic conditions and to amazing vineyards in Mount Athos, Central Halkidiki and elsewhere in the region. The local ancient Limnio grape and the Xinomavro make superb red wine, but so do the happily imported French grapes of Cabernet Sauvignon and Cabernet Franc. Taste the whites made with Assyritiko, Athiri and Roditis. There’s a network of wine roads and vineyards.